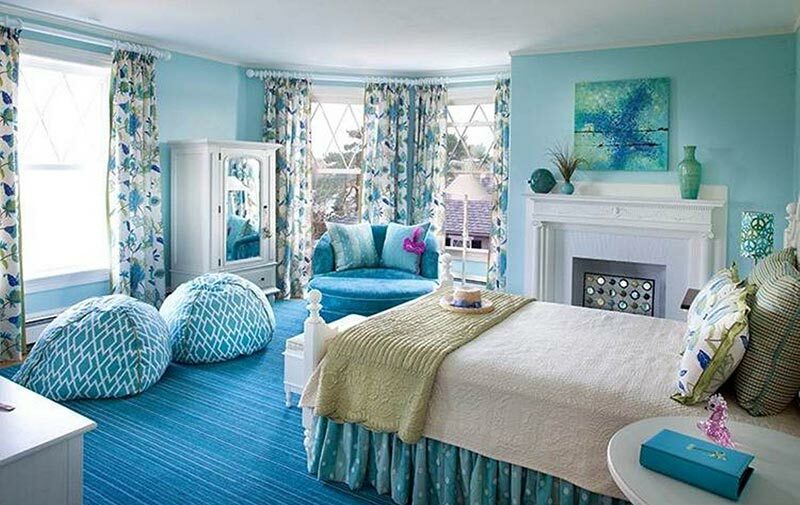 It is not a hard task to find blue bedroom ideas as this color is highly popular for bedroom interior scheme. Well, it is not surprising considering the characteristic of this hue as cool one. 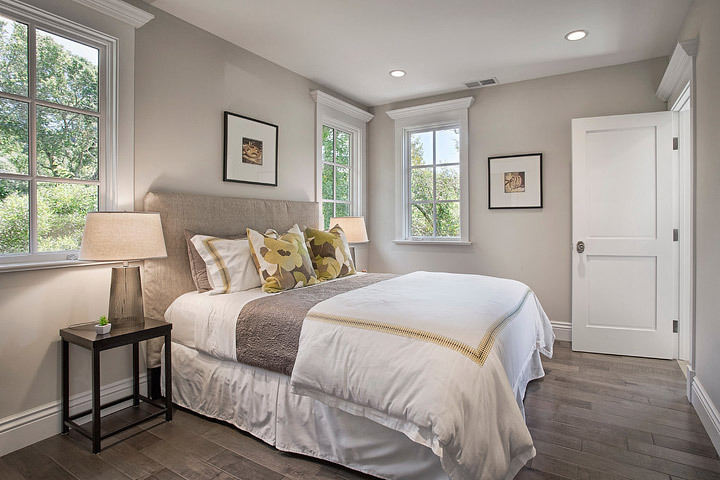 This way, you can thus find it easier to establish relaxing and calming sense for your sleeping space, including for your master bedroom. 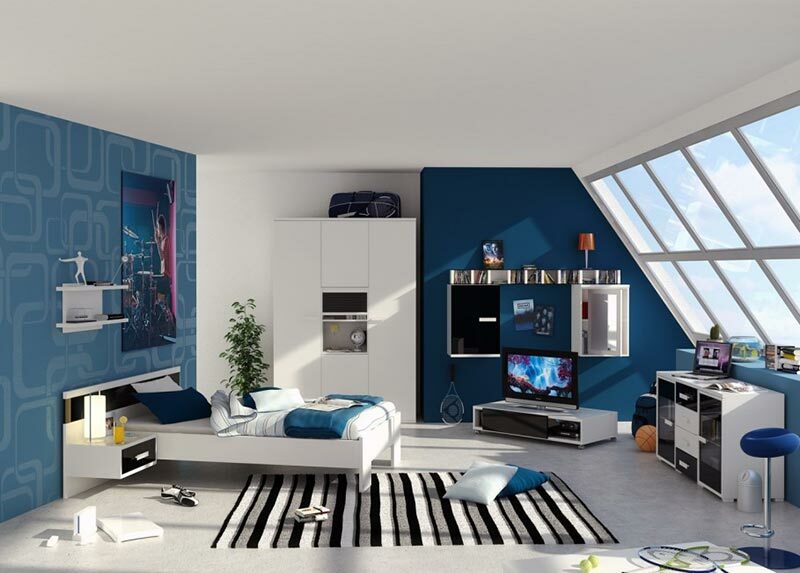 Blue, in fact, is one among the more calming colors on the spectrum, which visual effect can be seen from these blue bedroom ideas pictures. 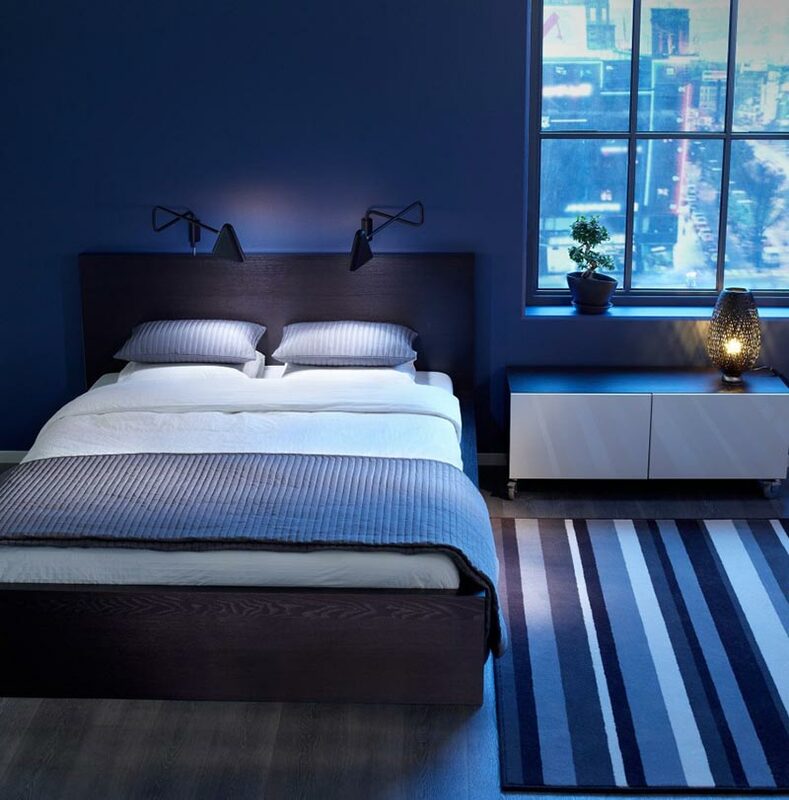 However, there are still various shades of blue you can explore and use for your bedroom interior, starting from deep navy blue to pale robins-egg one. 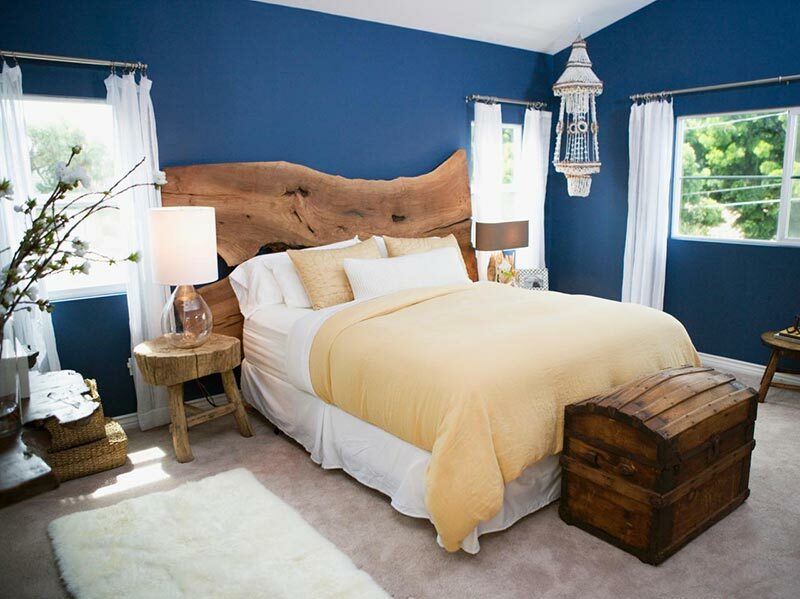 Cool blue shades can create a perfect calming sense for master bedroom. 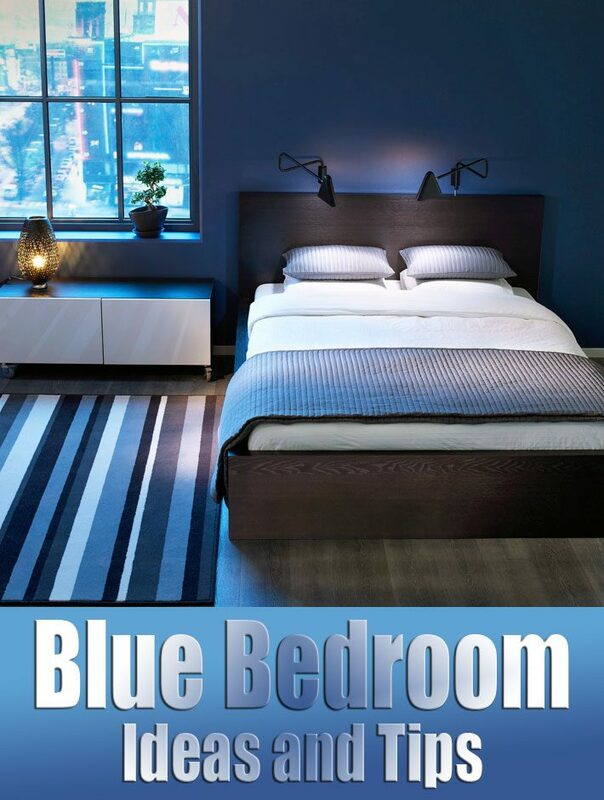 On the other hand, traditional bedrooms prefer deeper shades of blue. They serve as backdrop for classic and antique furnishings. 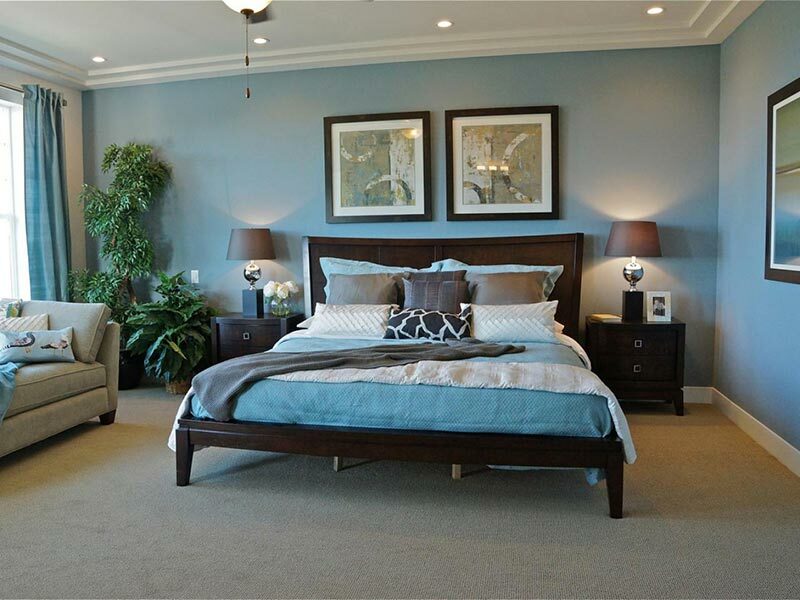 However, deep shades don’t always mean dark ones as there are many pale and muted blues to create soft look if dark wall colors aren’t your thing. 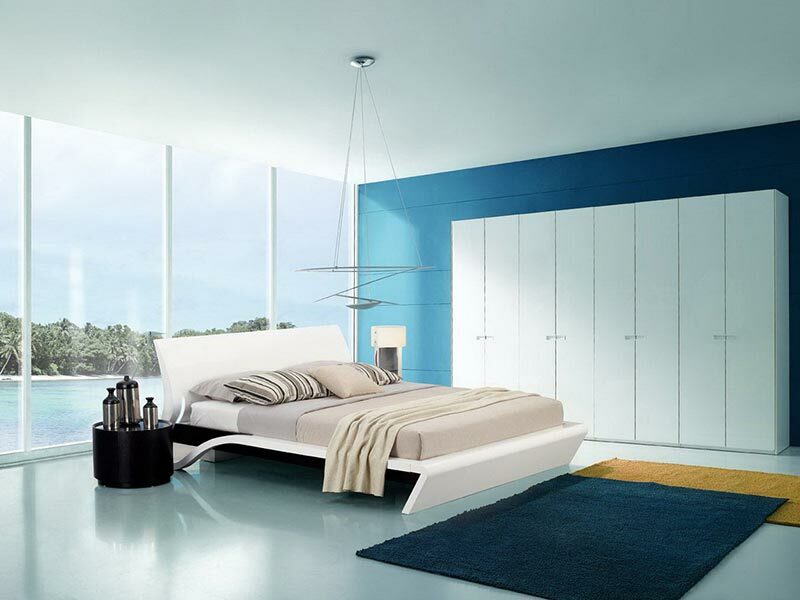 In contemporary bedroom, or one with eclectic style, brighter shades of blue are a great choice. Match them with bed linens and window treatments in white and gold. 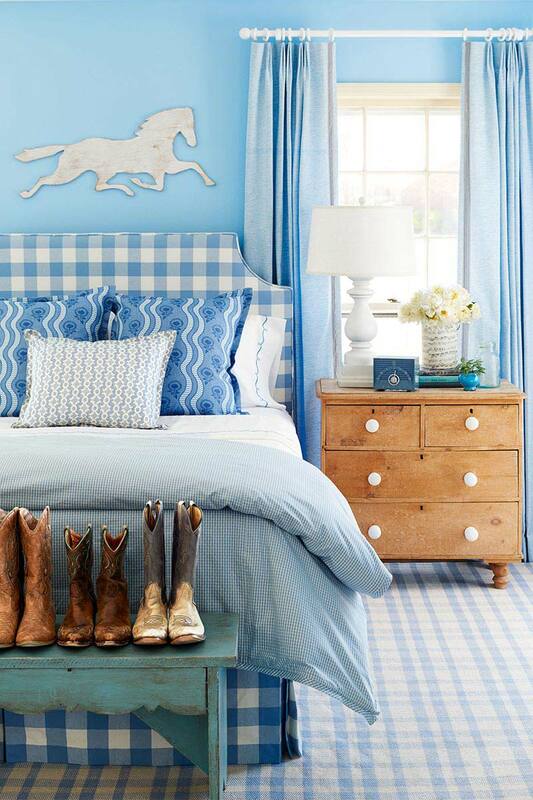 Pale blue with white furnishings, fabrics, and accents build a look that is comforting and crisp. 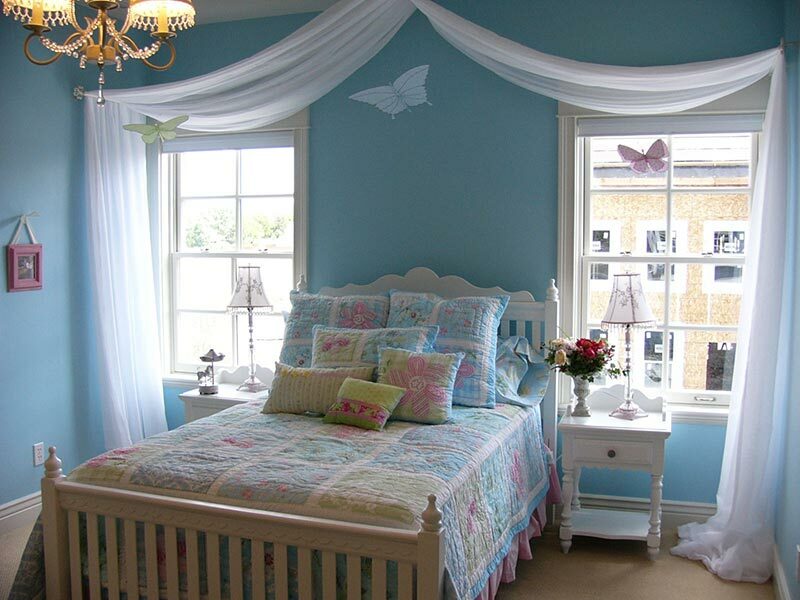 This color combination also works with shabby chic style. 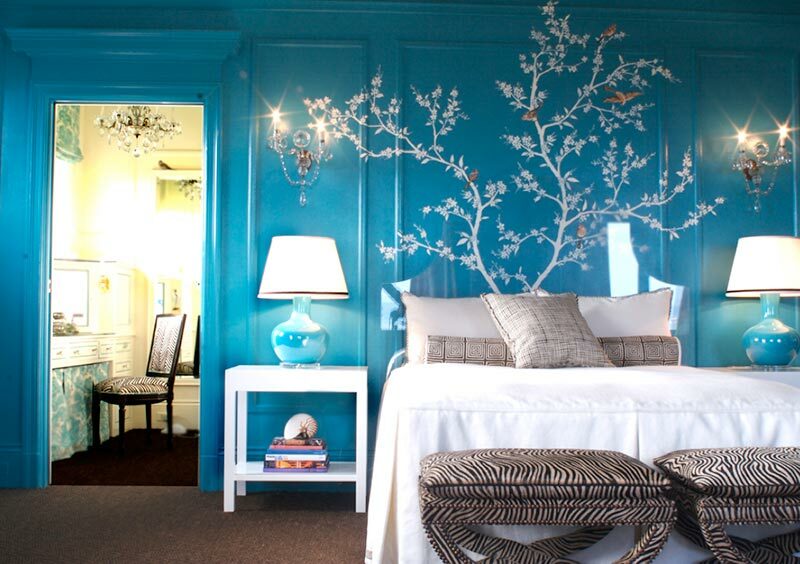 You can also paint your bedroom ceiling light blue for an illusion of a greater height. 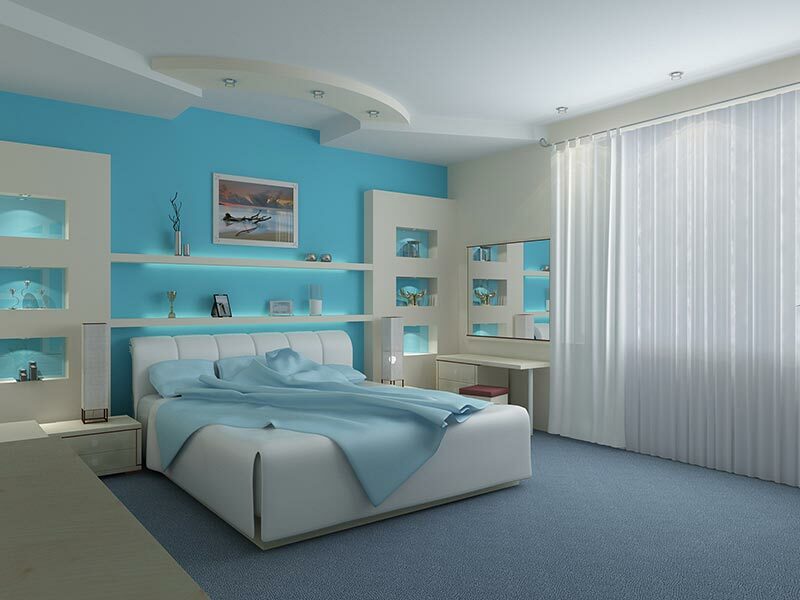 Using ombre technique is also recommended when you use blue for bedroom. If you want to use deep shade of blue paint color for the walls, use it only as accent wall so the color can pop without overwhelming the space. Use white, cream, or dovetail gray for other walls. 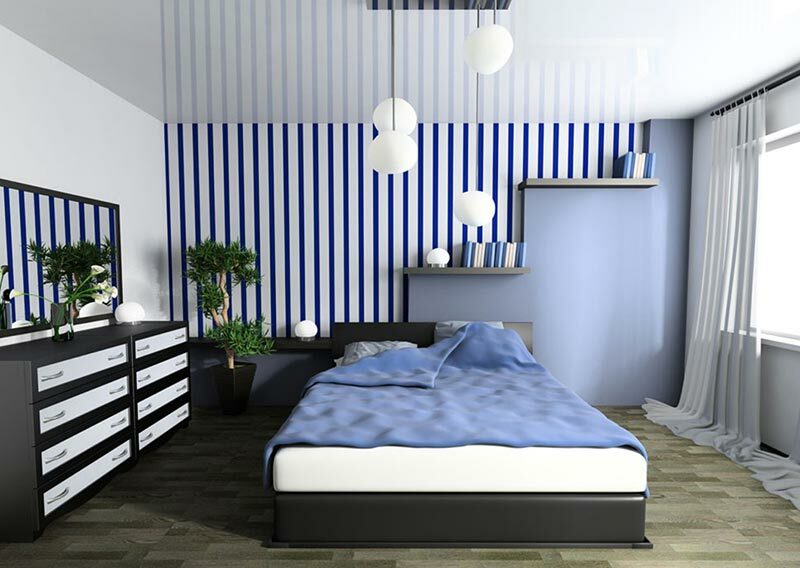 Pairing indigo or navy blue with white just as you see from blue bedroom decorating ideas pictures can create the similar look the black and white combination does, only the first one has more warmth.